Conversations is the messaging tool used instead of email to communicate with a course, a group, an individual student, or a group of students. You can communicate with other people in your course at any time. When would I use Conversations? Next Topic:What is the Course Import Tool? Table of Contents > Canvas Features > What is Conversations? 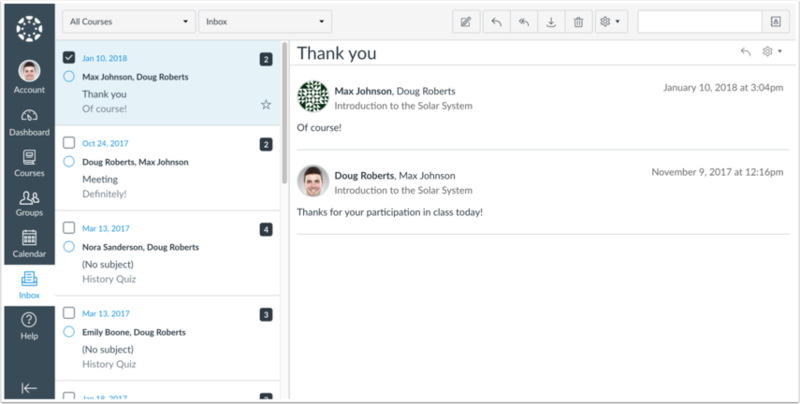 Re: How do I email my whole class?